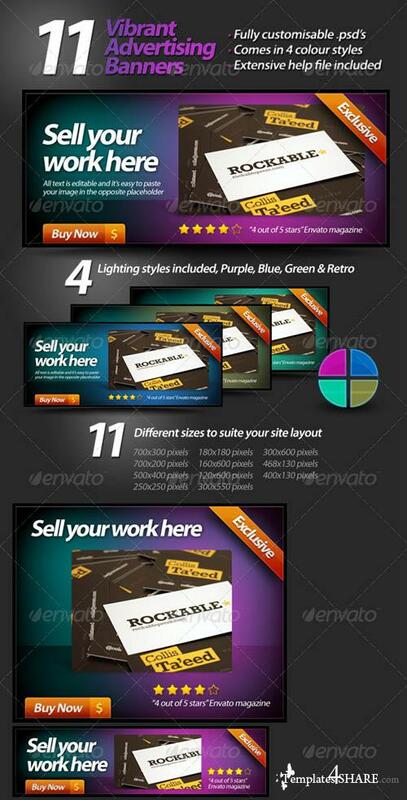 The vibrant web banner is designed to showcase your work wether it be a product or service. The design comes in 11 different web sizes, and has 4 colour options. Instructions are included on how to customise your banners.